Vortex Genie series mixers are simple to use but more importantly, they are affordable. The mixing ability of these vortexers have been enhanced for maximum speeds which means fewer problems, more adaptability, and less time spent in the lab. The Vortex Genie 2 is by far the most popular of the Vortex Genie series, it allows for control of speed and time. It can stir multiple vessels simultaneously and effectively. It offers a varied speed range of 600 to 3200 rpm while the Vortex Genie 1 can mix up to 3200 rpm. Its multitasking versatility lets you mix almost all tubes and containers. The Vortex Genie 1 has a more violent vortexing action and thus has excellent mixing efficiency. It accepts a wide variety of tubes and can be used with an optional 3-in platform. 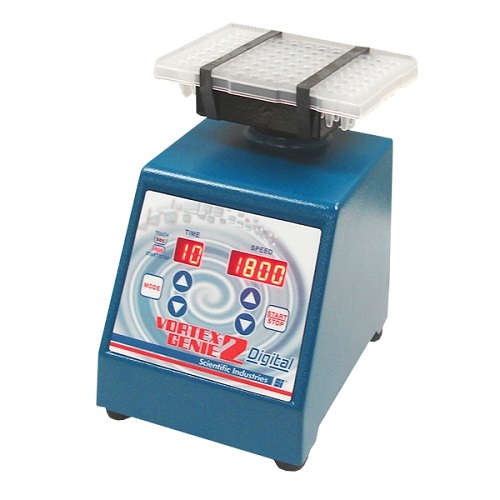 The Vortex Genie 1 is extremely durable and can be operated within cold room storage. Equipped with a large orbital path of 6 mm, this vortexer will mix any solution you might have. The Vortex Genie 2 comes with a digital interface for easy adjustments of not only speed, but time. With timer control you no longer have to focus on keeping time while mixing products. Both touch and time control settings are available depending on mixing needs. For both Vortex Genie models, another added feature is the metal housing which provides a stable platform, so the mixer stays in one place. Since the machine doesn’t walk on the lab bench, you can focus on the task at hand rather than safely operating the equipment. The unmatched reliability added to the many years of proven performance makes the Vortex Genie one of the best vortex mixers on the market today. 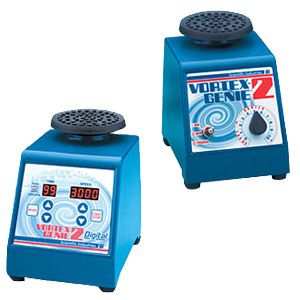 The Vortex Genie series comes with a 2-year warranty and over 30 accessories to choose from. 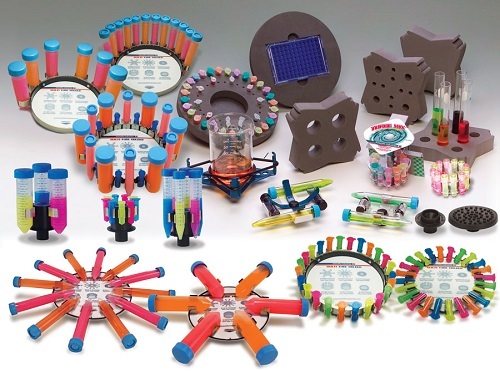 These accessories and attachments include adapters for microtubes, 15 mL and 50 mL centrifuge tubes, microplates, deepwell plates, beakers, flasks, and microcentrifuge tubes. 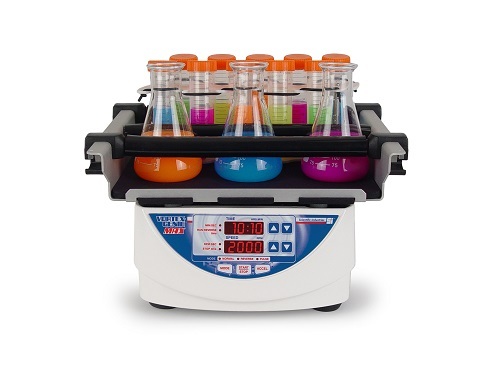 Utilizing these tube inserts, platforms, and receptacles that are attachable to the top of the vortexer, you are able to mix any container you might have in your lab. 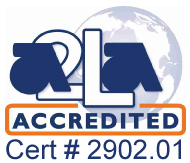 For questions or concerns, please contact Pipette.com at 800-243-3232 or info@pipette.com. The compact Vortex-Genie 1 has a more intense vortexing action than any other vortex mixer at an economical price. Made in the U.S.A.
Large Capacity Multi Vessel Vortex Mixer. 2 Year Manufacturer’s warrant. Made in the U.S.A.
Pipette.com offers the Vortex Genie Pulse vortex mixer for your everyday research and manufacturing applications. Pipette.com carries the Vortex Genie Pulse vortex mixer to accommodate all your solution preparation needs. 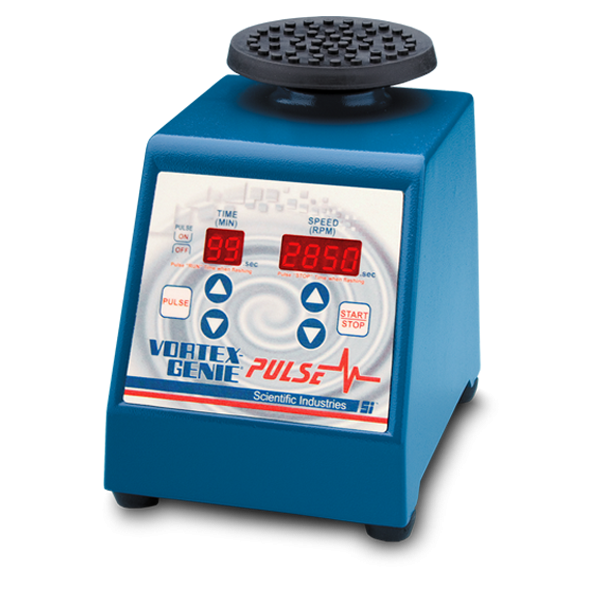 The Vortex Genie Pulse is essential for any bioscience, microbiology, biochemical, and analytical laboratory. Pipette.com carries the ABI Digital Vortex-Genie 2 vortex mixer to accommodate all your microplate assay needs. The ABI Digital Vortex-Genie 2 is essential for any bioscience, microbiology, biochemical, and analytical laboratory. Pipette.com carries the Vortex Genie MAX vortex mixer to accommodate all your solution preparation needs. 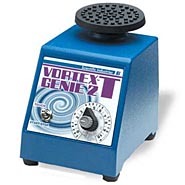 The Vortex Genie MAX is essential for any bioscience lab.